After the discovery of the hidden shrine, the adventurers were seriously considering just packing it in and going home. They had, after all, found the missing contact and retrieved his information. Their orders were clear though – that they should investigate fully any signs of the cult’s activities, and there was still one more place that needed to be looked at – the ghoul warren. This really wasn’t an option that they were particularly keen on, but orders were orders, so they carefully made their way through the back of a broken tomb and into the darkness below through tunnels that seemed to have been scraped and clawed out of the clay and stone rather than carved. Debris was everywhere, and there were no light sources apart from what they brought with them. In addition, most of the tunnels were irregular in size and only wide enough to admit people in single file. What followed was straight out of the film Aliens – with nods to the old Space Hulk game by Games Workshop – with frequent Listen and Spot checks required to prevent surprise attacks from the shadows or unseen passageways. Tens of vile, reeking ghouls and ghasts began to harry and harass them, employing hit and run techniques that threatened to separate the group into smaller, more vulnerable pairings. 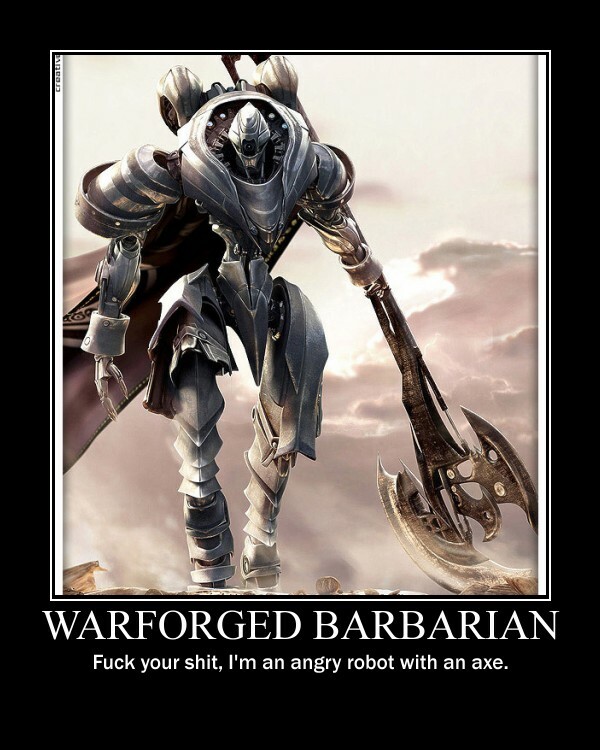 The only thing that saved the party was the armoured might of the Warforged warriors, who took a vanguard position and deflected the heaviest fighting. As they mapped more of the twisting passages and brought magic and force of arms to bear, they began to get a sense of just how large the warren was. In an attempt to get a general layout fixed in their heads, they carefully positioned themselves at a number of choke points, while Ruin shapeshifted into his fast and lithe raptor form. He then began a sprint down one of the narrower corridors, hoping to outrun or evade any immediate attackers. The rest of the party waited a moment, and then heard a cry of surprise from the transformed druid.